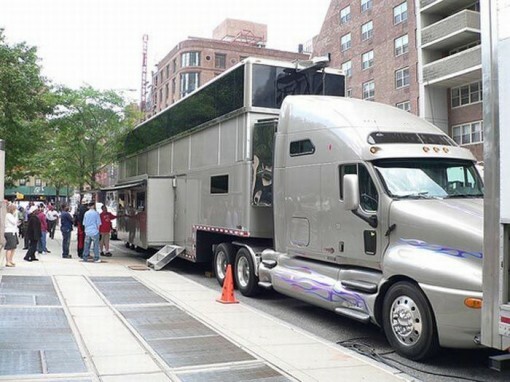 Recently, Will Smith drew a lot of flak from New Yorkers when he parked his gargantuan motorhome in Soho during a shoot. The two-story, thirty-foot monster naturally created a lot of traffic and caused such a furor among the locals that Smith had to have it removed ASAP. But honestly, since when did people need their motorhomes to be THAT huge? Aren’t motorhomes (or trailers, as others might call them) only supposed to be an extension of one’s home? Ready to be moved as quickly as possible? 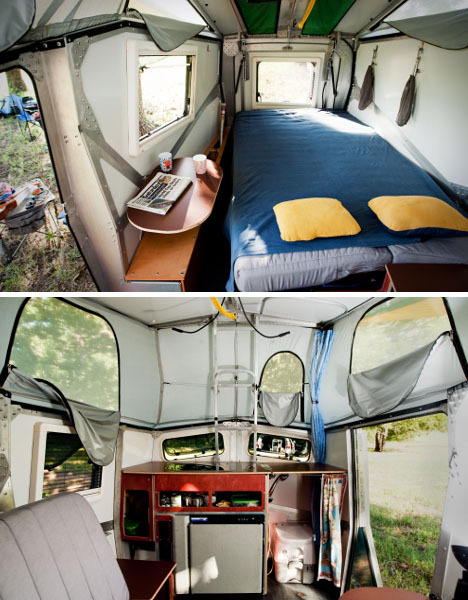 This reminds me of how much I wanted to have a motorhome when I was a kid. 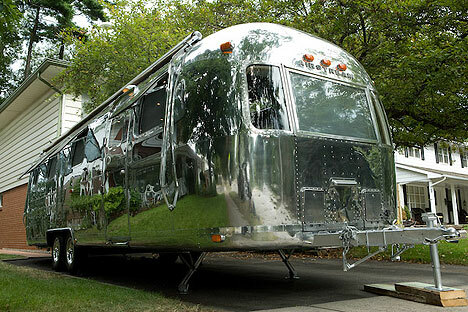 I particularly loved the classic Airstream trailers that were initially produced in the early 30s and became so popular in the 50s. 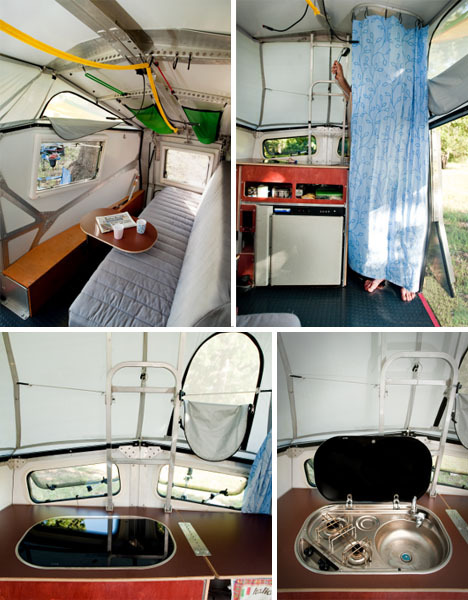 The thought of mobile living– of travelling whenever and wherever your fancy takes you– greatly appealed to me. 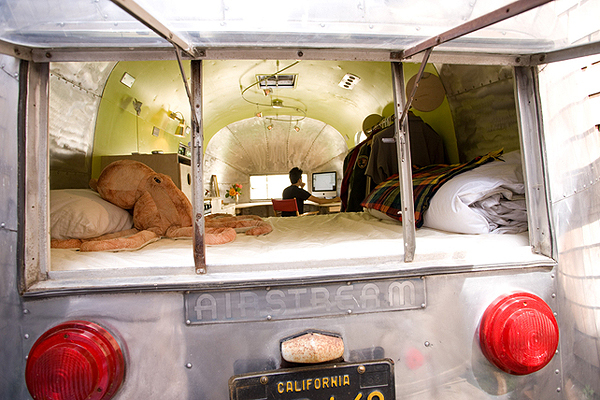 Motorhomes represented a completely different way of life. It suggested spontaneity, a bit of recklessness and most of all, a sense of adventure! Today, a lot of people are getting nostalgic over these vintage beauties. 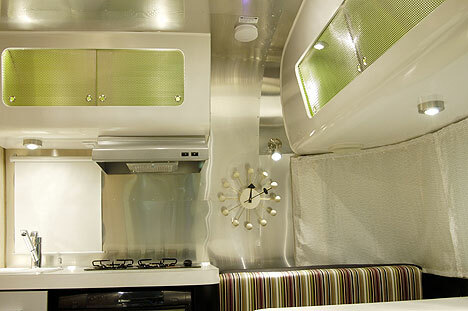 Some have even gone out of their way to refurbish and furnish their motorhomes. 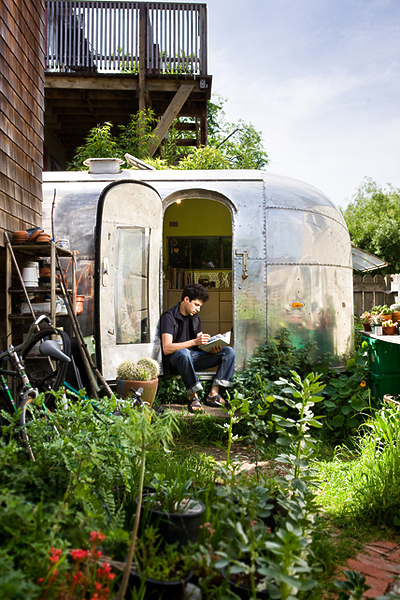 This pretty Airstream is tucked away inside a fenced-in garden. Owned by Andreas Stavroupolos, it is painted with a soothing shade of green and fitted with modern fixtures and furniture. 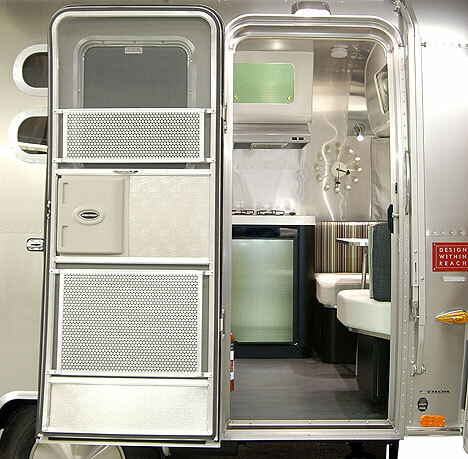 Meanwhile, Airstream and Design Within Reach partnered with designer Chris Deam to come up with this ultra-modern trailer. Decked in designer pieces such as the Nelson clock, Tom Dixon wire coat and Paul Smith cushions, this trailer will easily appeal to the design-savvy. Finally, if tiny and compact is more your style, then this miniature beauty might be more suitable to your taste. 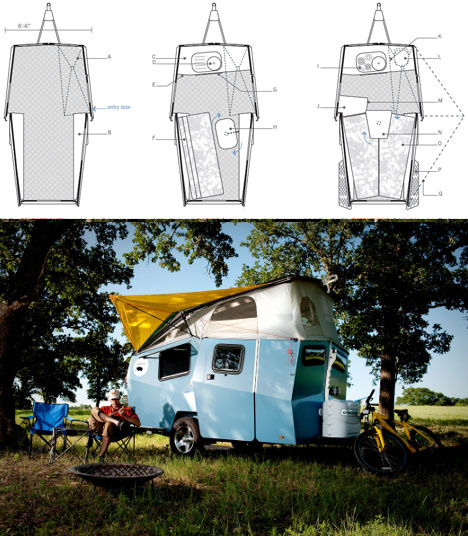 Developed by an architect, this modular mini-trailer has all the amenities one would need in a motorhome. Whether those of the Airstream or the Cricket Trailer, I’m sure the photos have whetted your appetite for your very own motorhomes. If you do buy one, make sure you protect your investment by getting insurance, especially when you’re planning to take it overseas. 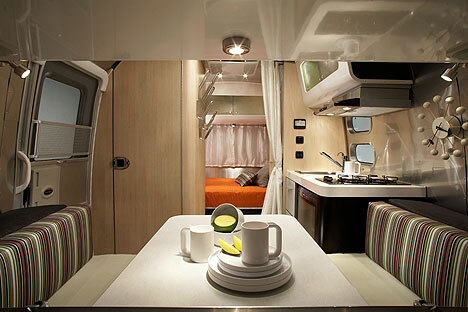 Know that there are some motorhome insurance that offer more extensive coverage than others. Also make it a point to bring along the right kind of driver’s license to ensure a smooth, hassle-free adventure on the road. 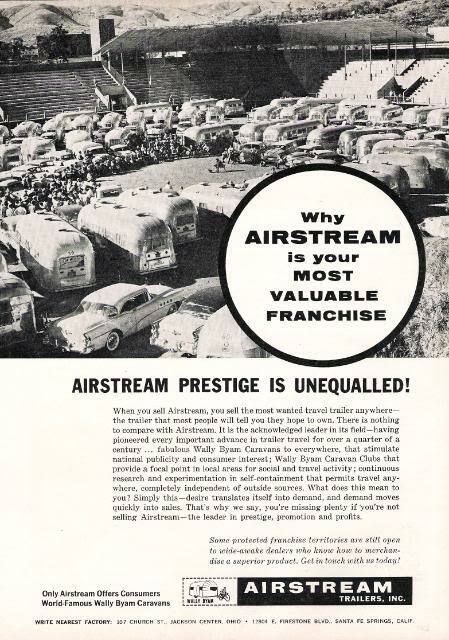 To know more about the Airstream, visit VintageAirstream.com and enjoy going through their rich archive of images. Tripper, oo nga! Sana magkaroon ako ng ganyan balang araw! Oji-san! yes, I’m very positive that I will have one someday. Thanks and I miss you! muwah! heya! first time on your site.. love it! 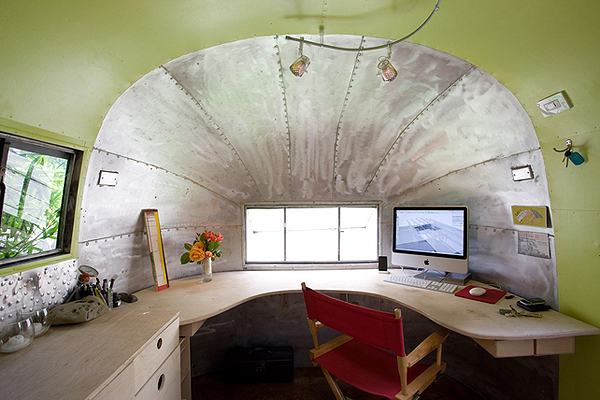 nice post, got an idea… air stream pala ang para sa akin. Hi james. Oo bagay nga sa yo. Bagay sa mga gala! wow! sana magkaroon ako ng ganyan..
Hi Grace, wow! that’s some cool RV right there! Bilib ako. :) Thanks for sharing! I sooo wanna have a motor home! They’re still popular here in Oz. Will’s is just exagg. 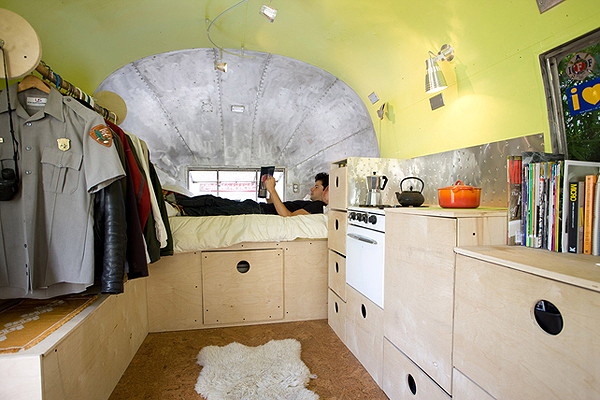 It looks like an actual house on wheels.